With 230 terabit extensibility, real time network visibility, and DevOps-style automation, the ExtremeRouting SLX 9850 handily addresses the massive and growing scale, analytics, and agility needs of the digital business world. It’s an open, flexible platform that gives service providers and enterprises the power to deliver high-performance services on demand. 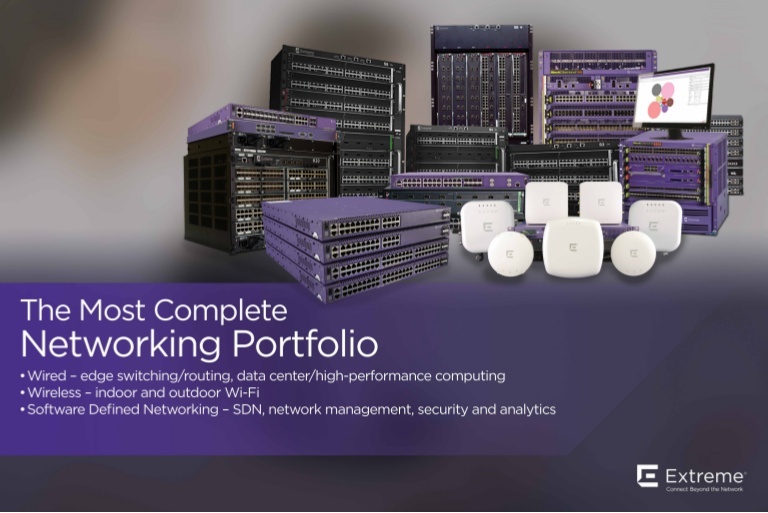 Support the unending growth in device and service demands today and well into the future with the SLX 9850 extensible architecture delivering cost-effective density, scale, and performance. Provide pervasive visibility to enable in-depth real-time network analytics, monitoring, and troubleshooting for efficient operations with the Extreme SLX™ Insight Architecture powered by the Extreme SLX-OS. Improve business agility and accelerate innovation with customizable cross-domain full lifecycle automation, delivered by the SLX 9850 and Extreme Workflow Composer™ platform and Automation Suites. 3,000 W AC power supplies, three fan modules, and accessory kit. Power cord not included. 3,000 W DC power supplies, three fan modules, and accessory kit. Power cord not included. 750,000 MAC, 256,000 IPv4 routes, and 64,000 IPv6 routes. hardware support. Requires SFP+ optics for 10 GbE connectivity and SFP optics for 1 GbE connectivity. Supports 750,000 MAC, 256,000 IPv4 routes, and 64,000 IPv6 routes. 256,000 IPv4 routes, and 64,000 IPv6 routes. BR-SLX9850-4-SFM SLX 9850 switch fabric module for four-slot chassis. BR-SLX9850-8-SFM SLX 9850 switch fabric module for eight-slot chassis. XBR-SLX9850-ACPWR-3000 SLX 9850 AC 3,000 W power supply for four- and eight-slot chassis, 90 V to 270 V AC input.